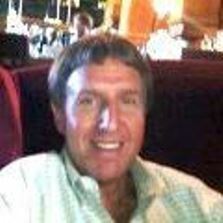 As Senior Vice President of Licensing for Entertainment One, and Nashville-based, Mick’s responsible for catalogue exploitation of over 60,000 tracks, including Synch Licensing, Master Use licensing, both domestic and international, expanding the third-party client base, obtaining new artists and productions for Synch representation, and supervising a staff of four professionals whose primary focus is placement of Company music in Film, TV, video games, and commercials. Personally responsible for securing major Synch placements with such Companies as Invesco, Google, and Office Depot; TV shows such as Californication, The Lying Game, 90210, The History Of the Eagles, Dancing With The Stars, and The Ex Wives Of Rock; Films such as Devil’s Knot, World’s End, and The Last Ounce Of Courage; and Video Games such as Zumba Fitness, Guitar Hero, and Bandfuse. Mick remains active as a Songwriter, Producer, and Artist, and leader of both The Mick Lloyd Connection and The Country Dance Kings, which continue to record physical and digital projects. He has a chart history as an Artist, Songwriter, Producer, and Arranger.